William Williams speaks with Rep. Carlos Mariani at ClearWay’s Day at the Capitol. This is the second of two stories on youth partners written in collaboration with Dr. Lucia Pawlowski’s Community Writing for Social Justice Class at the University of St. Thomas. William’s sister was about seven years old at the time, a startling demonstration of how the tobacco companies’ marketing pulls in even young children. This experience showed William how being a youth who is targeted by the tobacco industry means it is up to him to lead the fight against the industry. At first glance, William seems to be a typical 12-year-old. He just finished the sixth grade, is part of the stage crew in his school’s musical, and likes to get involved in the community. The work he does and the wisdom he possesses, however, are what set him apart from most kids, and adults too. William works with a group called Vision in Living Life: Change is Possible (VILL), a local youth leadership program that promotes growth through community engagement. It is one of ANSR’s partners. William volunteers to raise awareness in the Twin Cities and to advocate against smoking and the tobacco industry. He is so passionate about combatting the harms of tobacco, and has twice gone to the State Capitol to speak to his legislators. William is perfect for fighting tobacco because of the message he sends: Youth will not stand to be targeted by tobacco companies, and they will defend themselves until the situation is amended. Despite his initial worries about lobbying, William said he’s proud of his work, because he was actively engaging to improve a serious problem within his community. He also saw how the best way to initiate change is to go directly to the people who can make it happen, not simply raise awareness. VILL played a key role in convincing the city council in St. Paul to raise the price of flavored tobacco products and to restrict the sale of those items to 18-over tobacco-only stores. 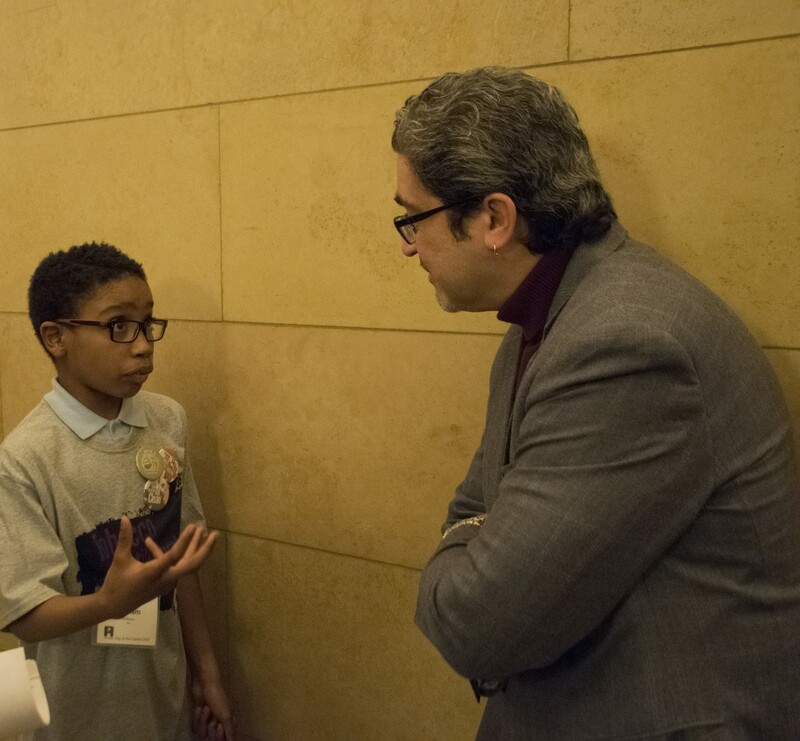 William and his peers met with every St. Paul city council member to discuss the issues and to emphasize the importance of setting regulations that will protect youth. William also likes to educate his classmates on the dangers of smoking. “I inform them about…how us kids and our ethnic group are being targeted,” he said, referring to tobacco companies’ manipulative marketing efforts. This topic bothers William the most because minorities frequently are less educated, work minimum wage jobs, live in low-income housing, and are susceptible to tobacco companies’ ploys. He said these people often use tobacco as a coping mechanism, but that they usually cannot see how tobacco companies target them, nor do they understand the dangers of tobacco. William’s passion for his work against tobacco is an impressive mark of bravery and leadership for someone at such a young age, setting an admirable example for his peers. Tobacco companies might be targeting youths, but William is willing to stand up against them and fight back. He understands the necessity of taking the initiative to have important conversations that can bring about the change he wants to see in the world. Claire Rossez attends the University of St.Thomas and wrote about William as part of a joint venture with ANSR.